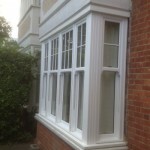 A feature of many period properties, sliding sash windows in Kingston upon Thames, are a wonderful reminder of the past and continue to be as popular today they were in the Victorian and Georgian eras. Typically sash windows have always been made in timber but over time problems can occur such as stuck sashes, rotting frames and draughts. 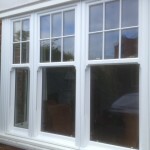 At Merton Windows and Doors, we can install stunning replica sash windows made from a range of materials, to homes and businesses in Kingston, Ham and the nearby areas. Double or triple glazed and energy efficient, these windows offer all the benefits of modern glazing, whilst maintaining the traditional aesthetic. We are a local FENSA-registered company, who will take time to get to know you and understand your unique needs before suggesting a range of options. We never use pushy sales tactics and continually strive to give our customers the best products available on the market at affordable prices. We take pride in all our work and our experienced installation team always ensure every job is completed to the highest standards and your property is left spotless. Book an appointment to discuss your requirements with our team on 0208 542 2233. 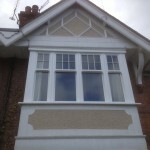 If your sash windows need to be updated or you simply wish for more period features, our sash windows might offer the perfect solution. 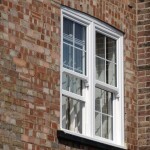 Our uPVC box sash windows provide the luxury and aesthetics of traditional windows without the leaks, draughts and poor security. uPVC is one of the most widely used window materials thanks to its great thermal performance, as well as its durability, aesthetics and weather proofing. 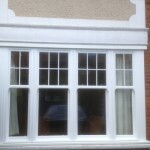 Read about timber versus uPVC window frames, on our blog. 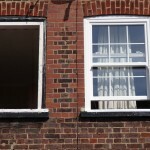 Are you upgrading your sash windows, timber windows or vertical sliders in Kingston? Call our glazing specialists today! To find out more about our glazing products and services, please call 0208 542 2233, email us on [email protected] or fill in an online enquiry form.